As the most wonderful time of the year is fast approaching, Robinsons Department Store’s Home and Living is decking its halls with the brightest trinkets, trappings, and trimmings, all guaranteed to make every home warm and cheery this Christmas season. The newest collections are also curated by the brand’s new creative director, none other than celebrated designer Ito Kish, who was hailed as Best Designer for Furniture, Decorative Items and Homeware Design at the 2017 A' Design Award & Competition at Como, Italy. 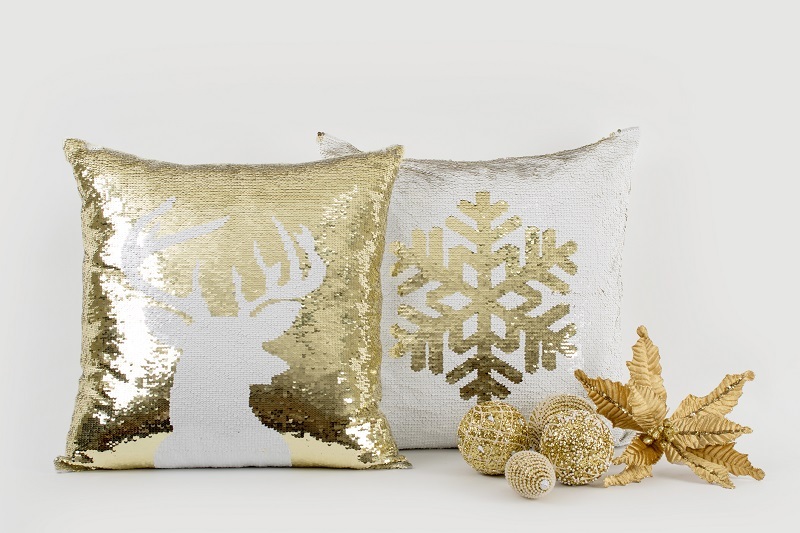 Add glitter and sparkle to every home with Robinsons Department Store Home and Living section’s Holiday Collection. Robinsons Department Store’s Home and Living Holiday Collection offers an array of glittery ornaments, bejeweled baubles, and crystal Christmas trees that are sure to add a dose of glamour to your festivities. For those looking for an alternative to the traditional Christmas trees, Kish also recommends evergreen flourishes and wreaths with ribbons and sparkles that add that stylish touch to one’s celebrations. 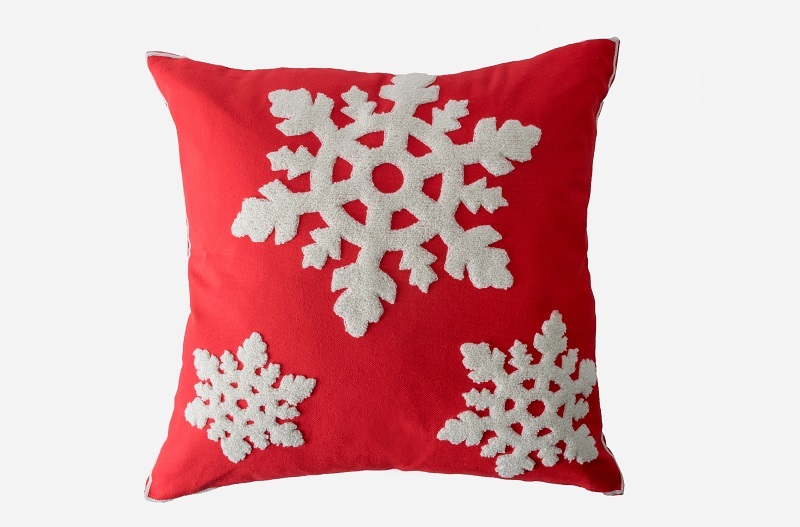 This throw pillow with snowflake design from Robinsons Department Store Home and Living section’s Holiday Collection is made for Christmas cuddling. One can also capture the child-like excitement that Christmas brings by filling their nook with wooden and plush toys in the shape of polar bears, penguins, and everyone’s beloved Santa Claus. Cuddling with loved ones become an even cozier affair with inviting throw pillows and blankets. To amp up the festive mood of holiday dinners, get your hands on stylish table settings and serving dishes that make gatherings with family and friends more enjoyable. Make your Christmas décor unique and put together a statement piece with wreaths, ornaments and trimmings from Robinsons Department Store Home and Living section’s Holiday Collection. Those looking for elegant decor are sure to find inspiration in Kish’s Cool Life collection, which offers a more contemporary take to Christmas entertaining. Refreshing touches of blue and white with design elements and prints that symbolize water are found in ceramic décor and houseware items. Add a minimalist touch to your home with stylish yet functional products from Robinsons Department Store Home and Living section’s Cool Life Collection. Icelandic design is internationally renowned for its ingenuity, creativity and unique style, and Ito Kish harnesses these in his Icelandic Collection for Robinsons Department Store’s Home and Living section. Characterized by clean lines, chic color palettes, and clever functionality, the Icelandic collection presents ceramic vases that make for perfect showcases for holiday floral arrangements, foliage, and other accents that bring your living space to more festive life. With a warm yellow and gray palette, this collection is sure to brighten up the family’s holiday mood. Due to their timeless design and functionality, these specially-selected, Kish-approved decorative pieces are sure to find a cozy spot in every home even when the holidays are long over. Get your hands on these cute ornaments from Robinsons Department Store Home and Living section’s Holiday Collection. Robinsons Home and Living’s Holiday collections are available in select stores. Visit a Robinsons Department Store branch near you to check out the specially-curated collections and festive holiday decor. Check out the brand’s Facebook page Facebook.com/RobinsonsDepartmentStore and its Instagram page @RobinsonsHomeLiving for more home ideas and updates.